Ok this is for all you diesel lovers,,,,I know your out there,,,,check engine light on,,,,found cylinder 4 injector faulty. 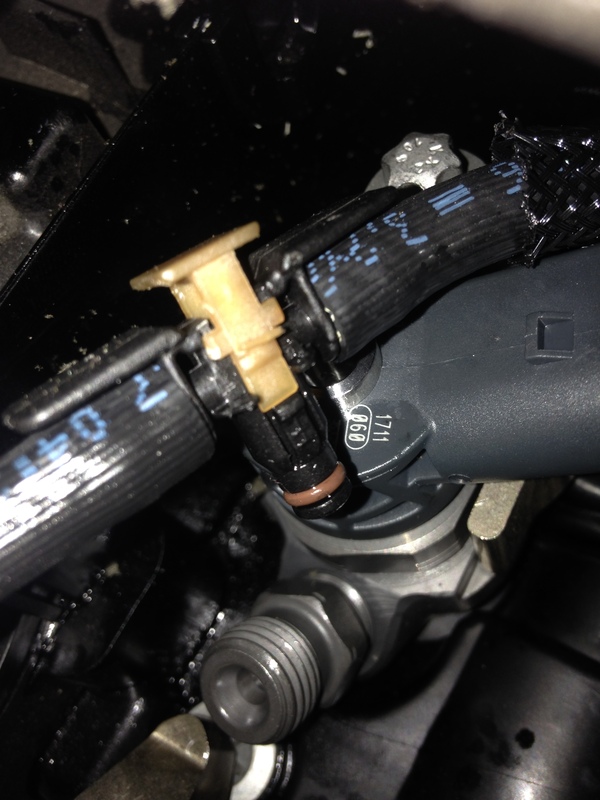 Ok to remove the injector you first have to be real careful and remove the overflow fuel return line,,,see the white clip you have to lift the clip up and then the hose will release from the injector,,,you then can remove the steel hard diesel line from the injector. 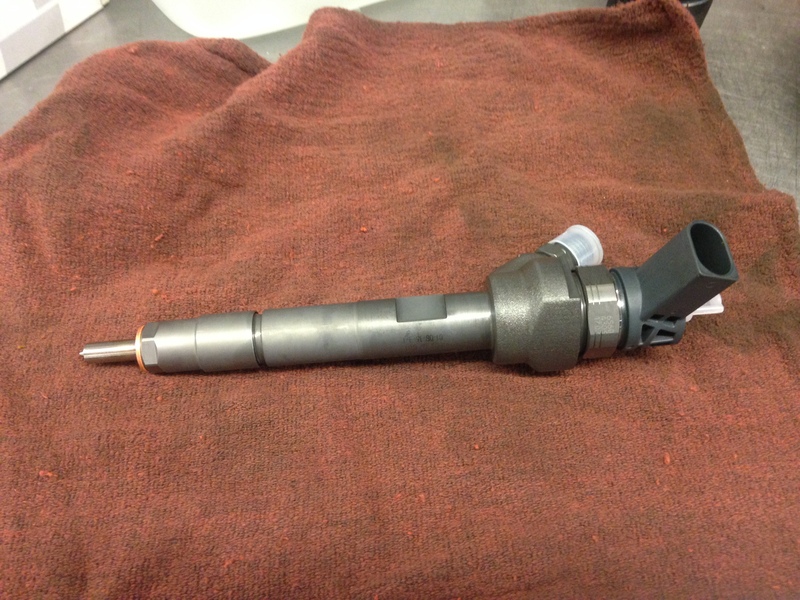 Here the new injector,,,these injectors are pretty tuff,,,there is no plastic in these injectors all metal casting,,,,no special tools to remove or install. On the top of the new injector on the left side is the 7 letter and number ASR7CNB is the calibration number which has to be put into the DDE. 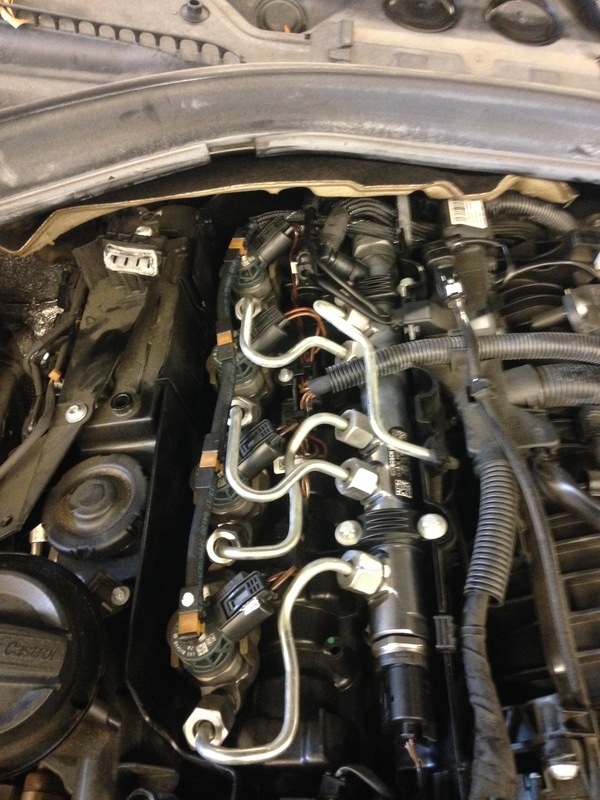 This entry was posted in Uncategorized and tagged diesel, Fuel injector, injector. Bookmark the permalink. 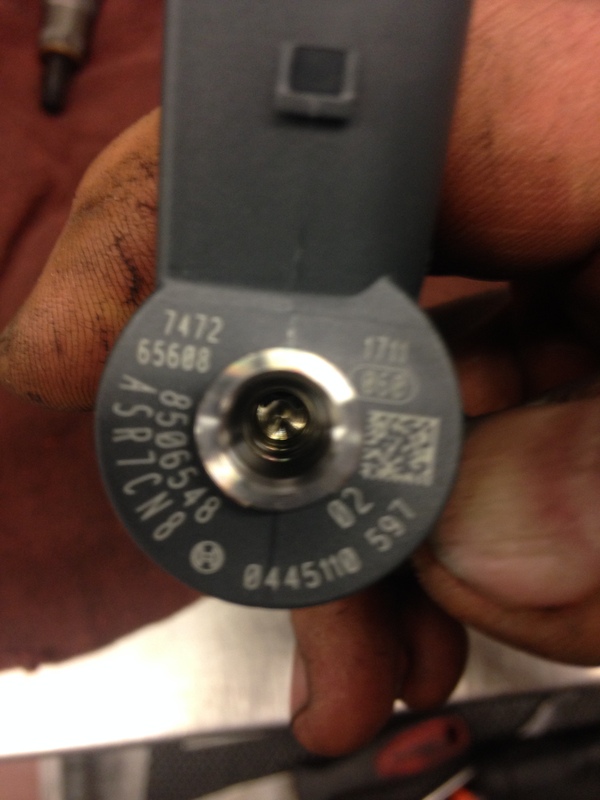 Any chance this was a P02D3 code and solved only by a new injector? Hoping I don’t find a tank full of glitter, especially since I got my HPFP extended warranty notification from BMW today. Sorry I don’t remember what the fault code was. Just as long as that car didn’t come back with a bad HPFP later, lol! Keep up good work!